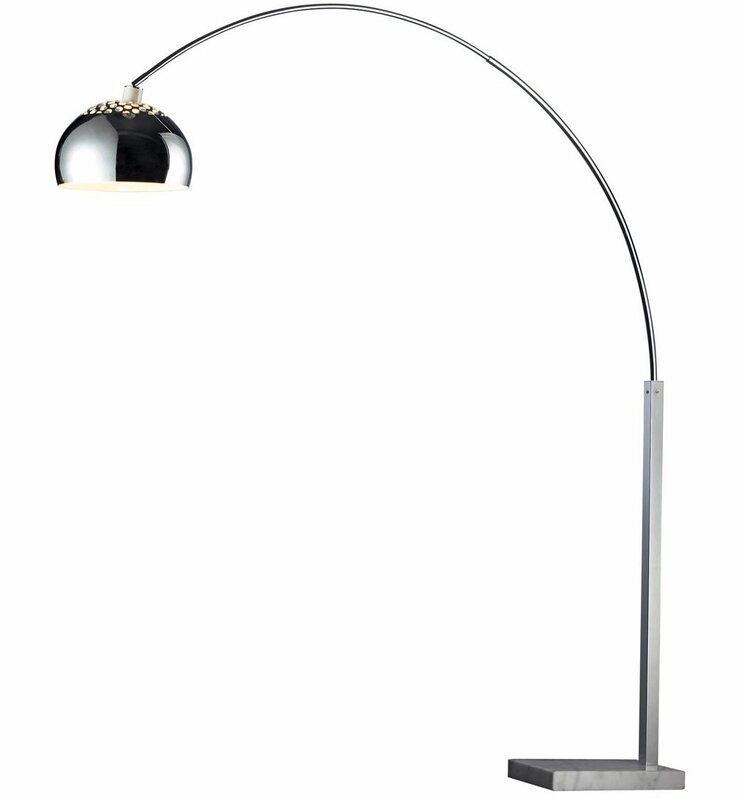 This classic arc lamp features a white marble base and and silver finish. An arc lamp is a perfect way to anchor a sofa or a living room and create a great reading nook. It features one 100W bulb and a polished chrome metal shade.